If you are looking for a family holiday in Tenerife, why not take a look at the HG Tenerife Sur Apartments in Los Cristianos. 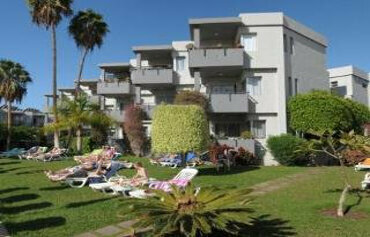 This 3star complex is tucked away in a quiet spot and is just a short walk from the beach. The pool scene is a real crowd pleaser. 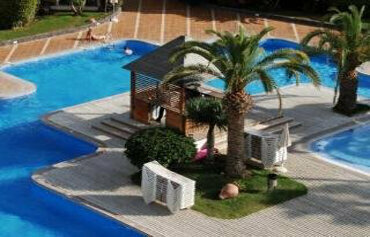 There are three pools to choose from, each lined with sun terraces and plenty of sunbeds to go around. The children will have a splashing time too with their own childsize pool and also a funfilled play area. 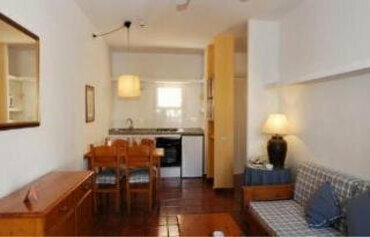 The apartments are modern and well equipped and come with cooking facilities and a private balcony. If cooking does not feature in your holiday plans, the onsite eateries have plenty to tempt your tastebuds. The restaurant serves up a tasty selection of dishes and there are light bites and cooling drinks available from the pool bar. Discover why the HG Tenerife Sur Apartments are popular apartments in Tenerife for family holidays. 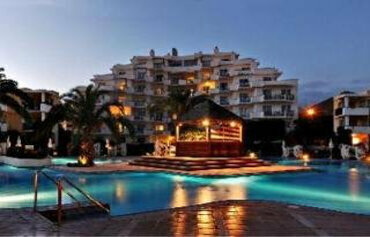 The HG Tenerife Sur Apartments has all the facilities you would expect from 3 star apartments in Tenerife. 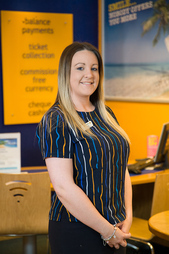 Highlights include: Three large outdoor swimming pools, large garden area, pool bar, restaurant, 24 hour reception, supermarket, squash, sauna, massage room, games room, kids play area, car rental, currency exchange, hairdressers and laundry. The complex has 189 guest units including studios, one bedroom and two bedroom apartments. All apartments have a lounge with sofa bed, fully equipped kitchen, bathroom, pay per view satellite TV, safe, telephone and terrace. The HG Tenerife Sur Apartments are located in the fishing town of Los Cristianos. 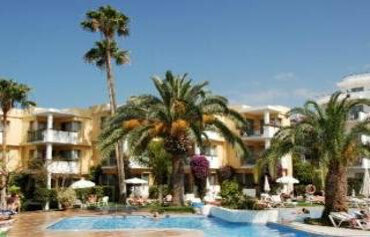 The complex is 500m from Los Cristianos Beach and 10kms from Reina Sofia Airport. I stayed in the Christian Sur Apartments during March 2015 for seven nights. Transfers drop you off at Tenerife Sur Apartments, but don't worry, Cristian Sur is just across road. On arrival, we were greeted by a polite receptionist who checked us in and directed us to our apartment. The grounds were very clean and tidy, while the garden areas and pools were all well maintained. We walked into a two-bedroom duplex apartment, which was huge. On the first floor, there was a big living area, dining space, kitchen, downstairs toilet and a large balcony. 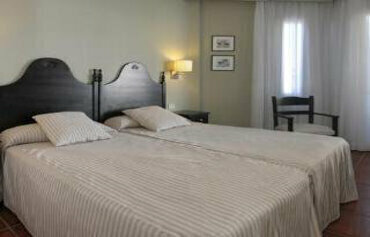 The second floor had a twin bedroom with a balcony, double bedroom and bathroom. Along with the space, our apartment was very clean and tidy with a daily maid service. Towels are also provide in the room, which were then changed every second day. We conveniently had an onsite shop that sold all the typical essentials for very reasonable prices. The location of Cristian Sur Apartments was perfect for me. It's about a five-minute walk to the bars, shops and restaurants, and approximately 10-15 minutes away from the beach. I would definitely return to these apartments and would highly recommend.